Arsene Wenger claims Alexis Sanchez is suffering a crisis of confidence at Manchester United . The Chile international has scored just three Premier League goals since Wenger allowed him swap Arsenal for Old Trafford in January. 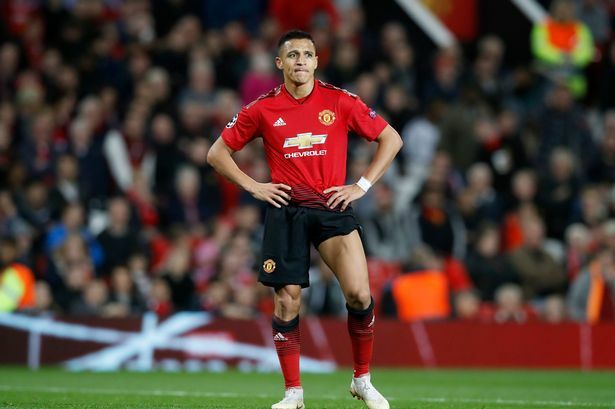 Sanchez has struggled to nail down a regular starting spot under Jose Mourinho and has failed to justify his massive wage packet. The 29-year-old has netted just once this season but has led the line in the last two matches in the absence of the injured Romelu Lukaku. “I believe he has lost confidence,” Wenger told beIN Sports . “The strength of Alexis Sanchez is to take initiative to dribble and to take people on. “Those are the players who are most vulnerable when they lose confidence their game is based on that and having that feeling to take initiative, he has lost that slowly. Meanwhile, Paul Pogba claimed United will continue to flourish in the role of “outsider”. Mourinho’s men looked on course for defeat in Turin after former United favourite Cristiano Ronaldo struck a stunning volley for the hosts. But the Red Devils, so often under the spotlight this season for the wrong reasons, rallied remarkably and secured a 2-1 comeback win in a Champions League clash that will live long in the memory. Next up is Sunday’s derby clash at swashbuckling Manchester City and Pogba hopes United can upset the odds once again. “It was great,” the France midfielder said. “We know that (Juventus) is a big team and, to be honest, when they scored a goal, we had nothing to lose. We carried on, we pushed and we know that we can be dangerous on free-kicks because they defend very well (in open play).